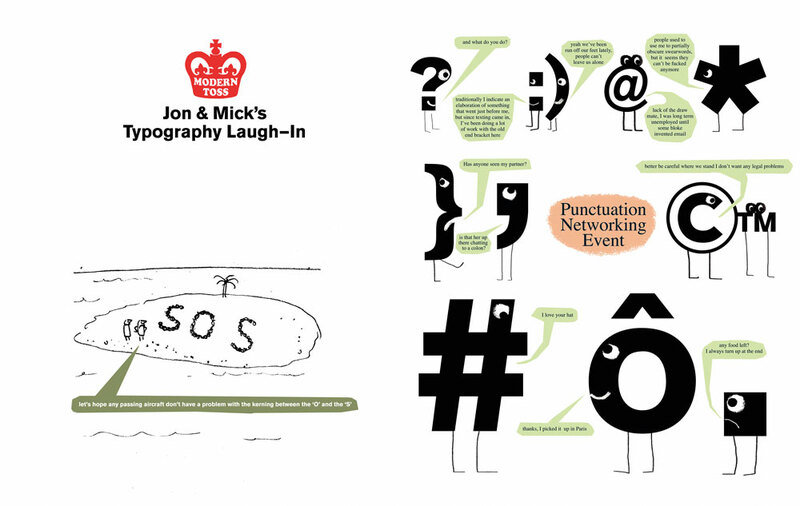 Modern Toss has devised a typographic spread about the perils and pleasures of punctuation – exclusively for Eye. 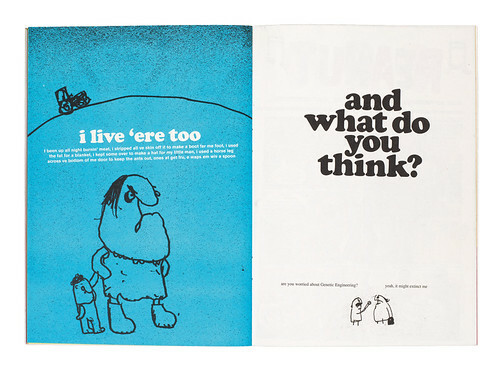 Modern Toss was founded by Jon Link and Mick Bunnage as a mischievous website in 2002, since when it has grown into a publishing empire whose tentacles reach every corner of contemporary life, from newspapers to tv. You can buy Modern Toss prints, books, greetings cards, t-shirts, bags and tea-towels. Modern life provides a rich vein of subject matter, brought to life in cartoon series such as Home Clubber (for the Guardian Guide), Drive-by Abuser and Mr Tourette. The first printed editions of the Modern Toss comic acquired a cult following after their publication in 2004. Marketing experts at Waterstones suggested they ‘stick a spine on it’, and their books (five to date) became best-sellers. The series was adapted for broadcast on Channel 4 in 2006 and 2007. They turned Work Experience, another regular Guardian cartoon into a thirteen-minute short for E4. Spread from Modern Toss, 2004. Link notes: ‘Cooper Black always works well with psychopaths and idiots.’ Top: typographic spread by Modern Toss. Bunnage is a journalist who worked on Arena and Loaded, and before that played bass for the band Deep Freeze Mice. 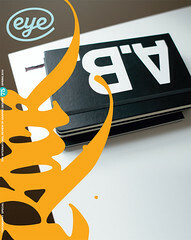 Link studied graphic design on a two-year hnd course at Barnet College in north London. Before working together as Modern Toss, Link and Bunnage worked together on the ‘If biscuits were people’ feature for Loaded, where Bunnage was a contributing editor and co-founder and Link an editorial designer. They explored the theme of ‘experimental violence in the workplace’ in the Loaded cartoon strip ‘Office Pest’ from 1997-2001. Link was part of the launch team for Hot Dog and creative director of Jack, both launched by James Brown’s company IFG, which Link helped set up in 1999.